Link Global are perfectly placed to handle your Australia contractor accounting. Structure your work arrangements with confidence using our internationally renowned payroll and accounting solutions. From early planning advice to emergency payroll for imminent work, and every step in between, Link Global provides expert contractor accounting solutions for Australia and worldwide. Link Global Management are perfectly placed to handle your Australia contractor accounting. Structure your work arrangements with confidence using our internationally renowned accounting solutions. From early planning advice to emergency payroll for imminent work, and every step in between, Link Global Management provides expert contractor accounting solutions for Australia and worldwide. 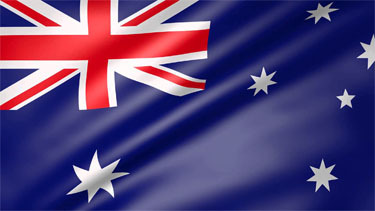 Australia offers many overseas contract opportunities due to its robust growing economy. With the exception of those moving to Australia from New Zealand, expats need to have a work permit and work visa. There’s a big variety of working visa categories, and each has its individual requirements. The Australian government’s online portal, Visa Wizard, is a useful tool that overseas contractors can use to find the visa that suits their industry-field and skill set. Employer-sponsored working visas are the most common working visas issued if you’ve recognised skills and experience and have secured a job prior to arrival. Employer sponsors can either be official Australian businesses or overseas businesses. Long-stay working visas are popular. They allow foreigners to work for up to four years. This is a multiple-entry visa, and once granted allows you to legally bring secondary applicants, such as family. The (future) employer sponsor must prove to the Australian government that they will meet certain responsibilities, that there’s a position that exists that needs to be filled, that they can afford to pay an overseas employee a market salary rate, and that no other Australian citizen can effectively do the job. Link Global Management deducts tax and social security at source on a PAYE basis, and payments are made to the relevant authorities. You can reduce this taxable amount by offsetting some business expenses. Employers and employees, as well as self-employed individuals, must make social security contributions. Contributions are payable on all taxable salaries, wages and allowances and, for self-employed individuals, on personal income. In Australia, the social security rate is a tax related with employment income charged to both companies and employees. Revenues pay for many social programmes including welfare, health care and many other benefits. Australia does not have “social security” as such. However, a deduction for Medicare (to partially fund socialised health) is required to be withheld from wages via payroll. This deduction is 1.5% of gross wages. Thinking of contracting in Australia?